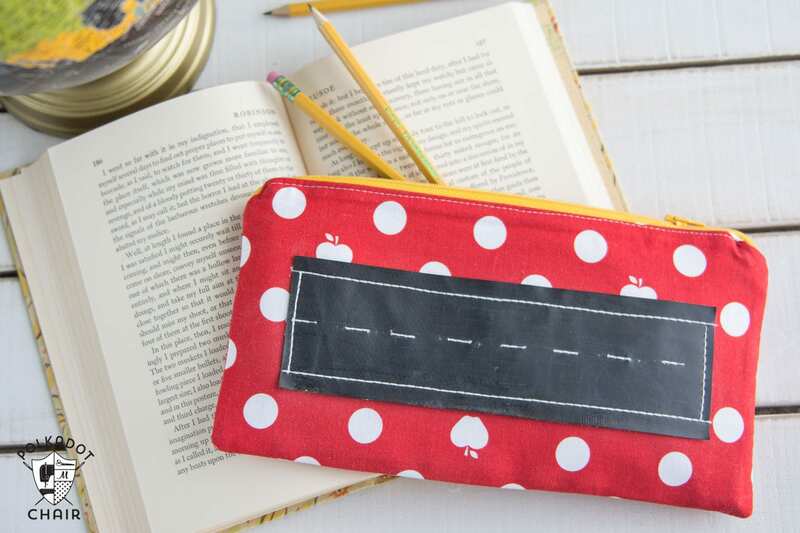 Last week I shared with you a sewing pattern for a chalk cloth pencil pouch. While I was writing the pattern for the pouch I could not decide between two design ideas that I had, so I just made both! 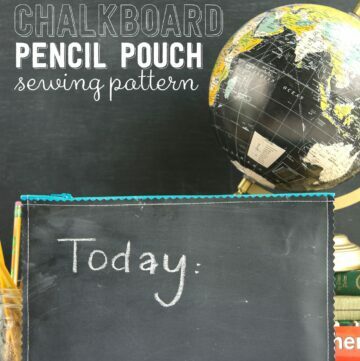 Today I’m sharing with you another idea for a chalkboard pencil pouch. 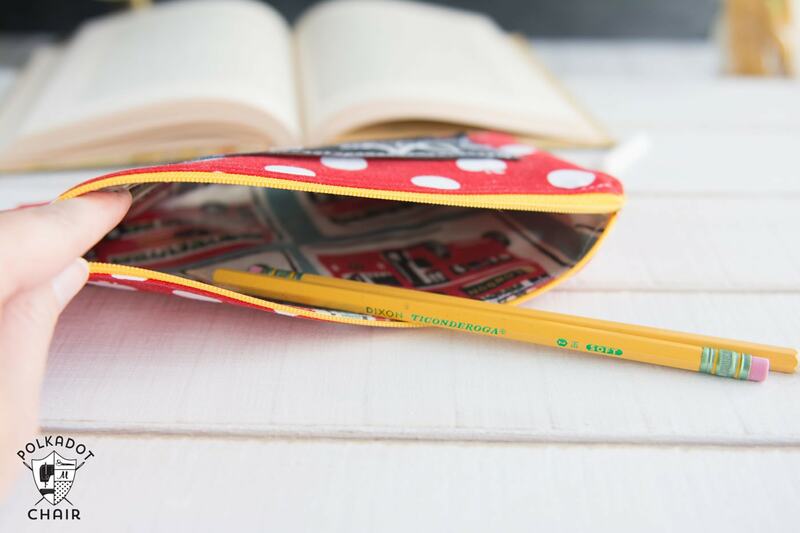 This DIY pencil pouch is a great easy to make Teacher Appreciation Gift! 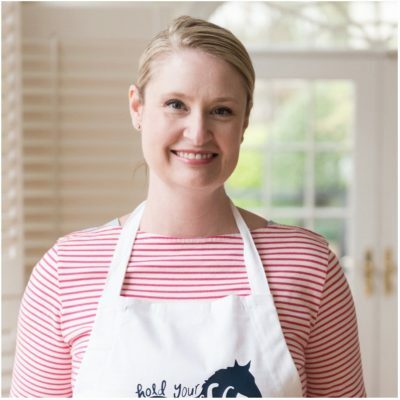 Back to School is either the most “wonderful” time of the year or the most “dreaded” time of the year. I don’t know which and sometimes I feel like it’s both. My kids all go back to school soon. As much as I dread routines and love having them around all summer, I know that they need to (and want to) go back. Plus I do appreciate the quiet days at home as I’m able to get a lot more work done (at least in theory). 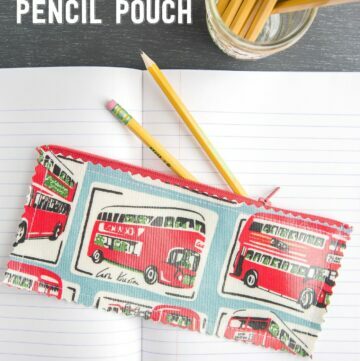 This week you can find me over at BERNINA’s WeAllSew.com blog sharing a sewing pattern for this cute little pencil pouch. 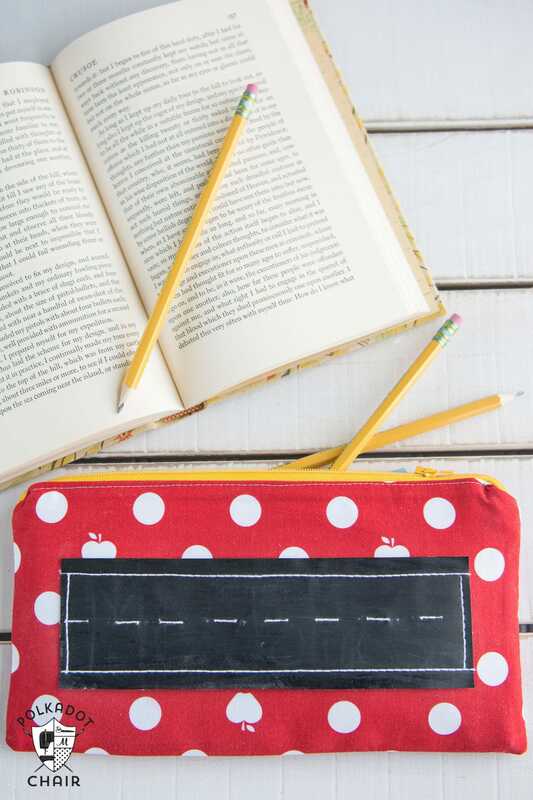 This one features an oilcloth lining (so it can stand up to all of the pens and pencils it will carry), a zippered closure and a little bit of chalkboard cloth on the front. The chalk cloth on the front is embellished using some of the decorative stitches on my sewing machine. 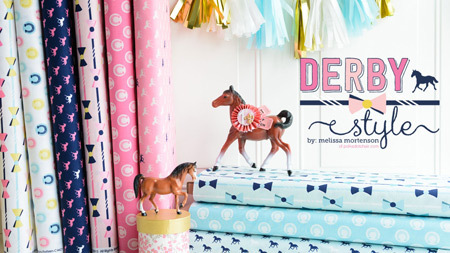 Don’t be intimidated by working with the chalkboard vinyl, it’s very easy to sew with. I walk you through it step by step in the tutorial. The biggest tips I can give you are one, to use a sharp needle (like a micro tex needle). Two, use a Teflon foot on your sewing machine. 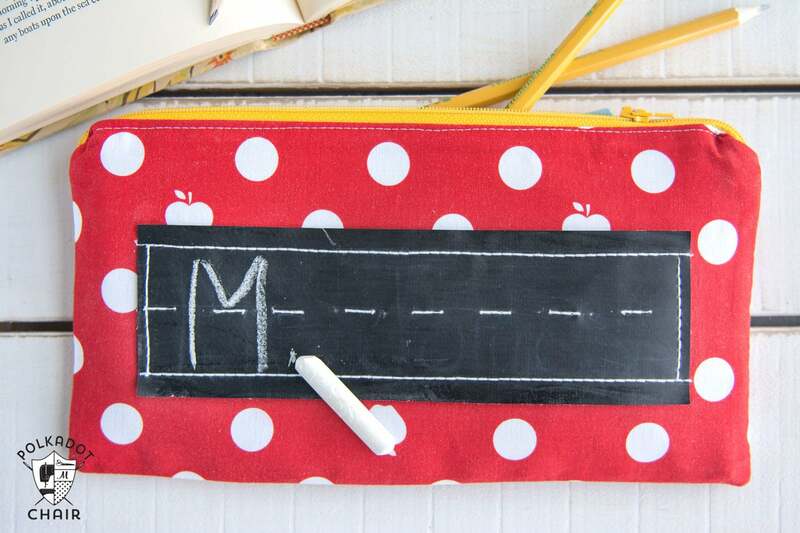 I think the chalkboard cloth makes a fun addition to the zippered pouch, kids can practice their lettering on the front or just draw pictures and doodle. 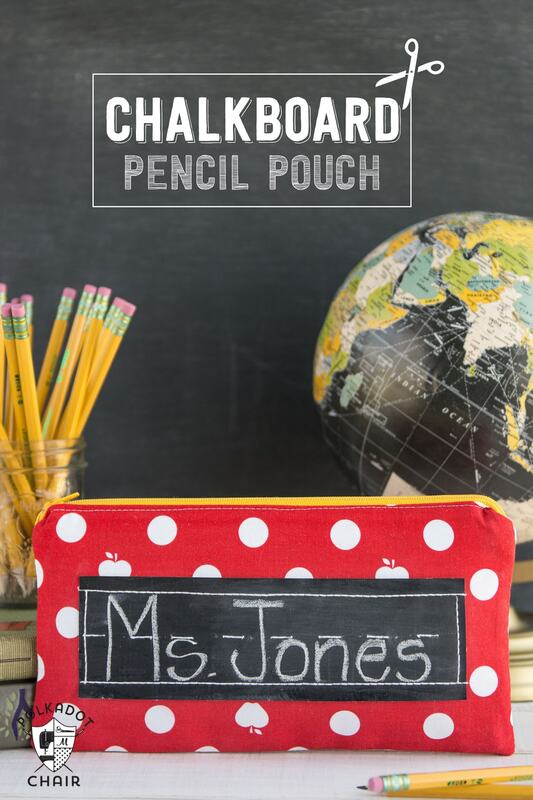 This would make a cute teacher appreciation gift, just fill it with a gift card or your teacher’s favorite treats. And a few pieces of chalk of course! 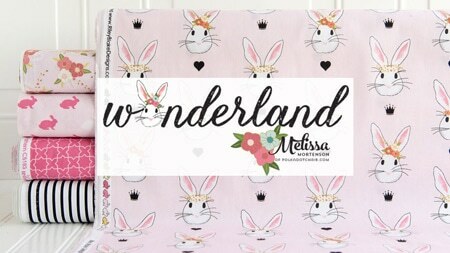 To get the full free sewing pattern hop on over to WeAllSew.com ! How well does the fabric hold the chalk? Is it easily rubbed off? 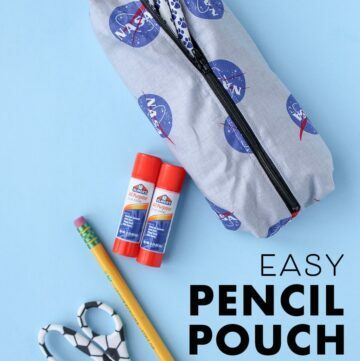 I would be worried that tossing the pouch into a backpack or whatnot would lead to chalk getting over everything, have you found that to be an issue? It is a very neat idea though! 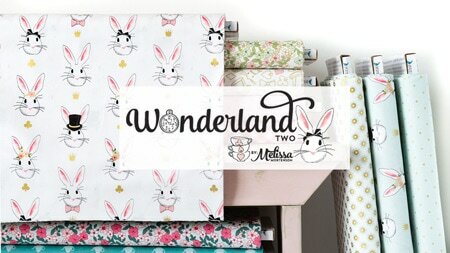 I just love your design. 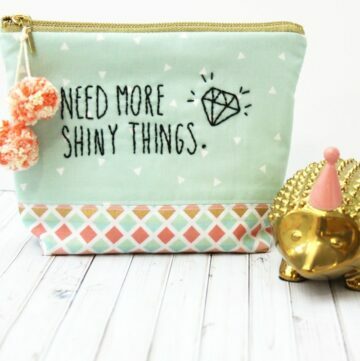 Such a darling pouch. 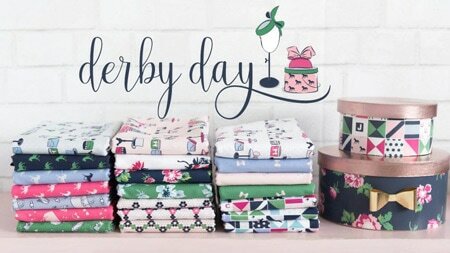 Can you tell me where I can purchase the chalk fabric?